This entry was posted on April 30, 2012 at 7:31 pm and is filed under Uncategorized. You can follow any responses to this entry through the RSS 2.0 feed. You can leave a response, or trackback from your own site. Today I have been appraised to the activities of Brian Holmes, Michael Bauer and Konstantin Mitgutsch through a morning feature in the Ö1 culture radio. I see with great interest the multiversal approaches to the present crisis, in the social system, in education, in management. I am a Theoretical physicist with a degree in philosophy. Since the seventies I have been working in knowledge tranfer and innovation – controlled rebellion. Living at present in the Tyrol, I could easily come to Vienna or Saas Fee (Alphubel, Allalinhorn . . .). Your answer would be much appreciated. Greetings. I am glad this has attracted your attention. 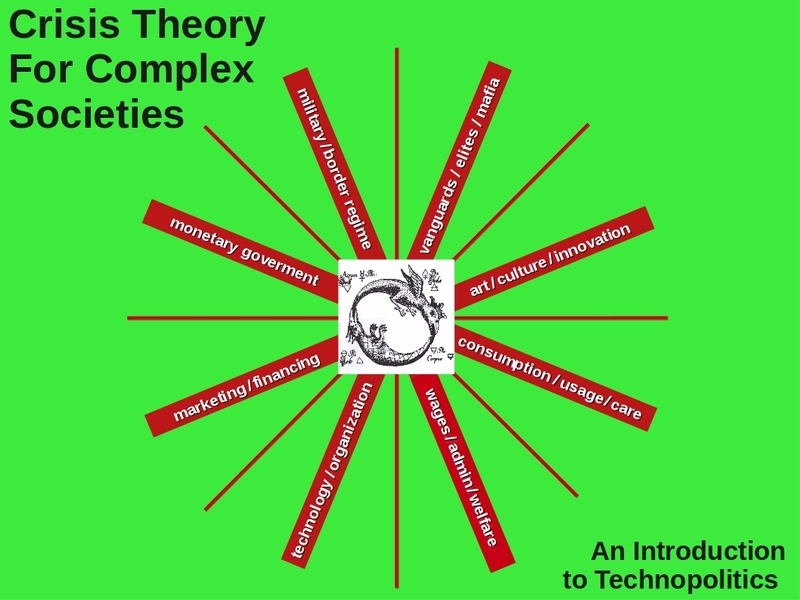 You will see (and hear) from the materials above the basic outlines of the work that I have been developing with the Technopolitics group in Vienna and with others. I will forward your comment to Armin Medosch. It would be interesting to hear your reaction to the kinds of things we are proposing. Indeed we could surely meet someday in Vienna. I come once a year or so. It seems that the mp3 links at the top of this post aren’t working at the moment. Do they perhaps live elsewhere on the web? Looking forward to listening. OK, I uploaded them to wordpress. Should work now. Thanks for pointing that out, I shoulda done that from the start.